Postcards and Letters: Stamps, what else? "Representative images of the German Empire"
The Weimar Republic stamps, issued between late 1922 and May of 1923, are the same designs as the Pfennig denominations of the December 1921 definitive series, but are now denominated in Marks! Between January and December of 1922, the price of a postage stamp for domestic mail went up 800%, and the price of a postage stamp for foreign mail went up 2,000%. 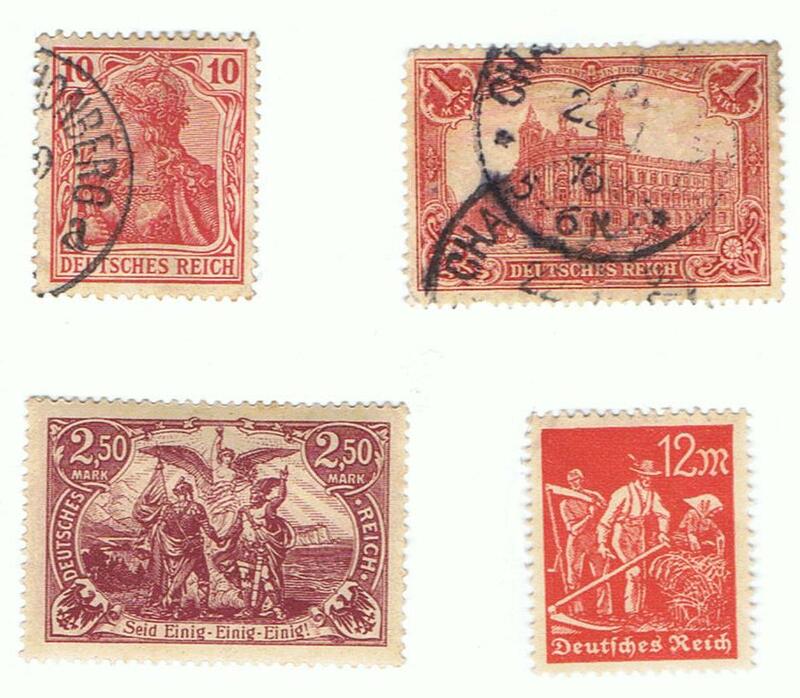 "The Union of North and South", featuring Germania above, raising the imperial crown.